In recent years, one of the surprising trends has been the rise of mindfulness in the workplace. 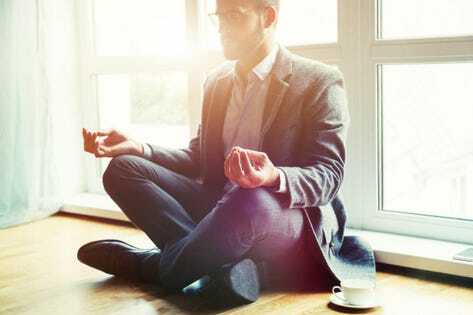 Many business leaders are turning away from the traditional stereotypical mindset of “hard-charging, aggressive, workaholic businessperson” and are seeking a softer, calmer, gentler, and more generous and peaceful approach of mindfulness. Running a business is exciting, and most business people are powered by passion, but that doesn’t mean you have to be running ragged all the time and feeling like a nervous wreck. Mindfulness helps business leaders stay relaxed and focused. If you’re feeling frazzled or overworked, mindfulness—whether it’s meditation, yoga, or some other spiritual practice, or even something simple like going for a walk outdoors and feeling grateful every day—can help you stay in your best, most productive mindset. If you’re sleep deprived, anxious, and cranky, you’re less likely to make good business decisions. Mindfulness practice can help with this, too. Being mindful can help your brain feel rested throughout the day; it keeps your mental muscles feeling fresh. Instead of feeling pressed for time and low on patience, mindfulness helps you remember to operate with a spirit of abundance: there is enough time, there is enough room, there is enough opportunity for you to do your best work. Mindfulness acts like a little angel on your shoulder, nudging you in the right direction and helping you make the right decisions—and helping you feel at peace with the decisions you make, even if the results don’t work out as well as you’d hoped. We only have 24 hours in the day, and unless you’re a cyborg who doesn’t require sleep, we’re only awake for 18 hours (or less). Instead of working more hours, look for ways to maximize your time by maintaining a calm, clear mind. Mindfulness can help you relieve your anxiety, improve your mental clarity, and boost your productivity—not by spending more hours at your desk, but by getting more out of the time that you do spend, and by getting better at delegating or offloading your workload in more productive ways. Mindfulness can help you come up with more creative ideas and be more innovative. The best ideas often come from idle moments of daydreaming and free thinking; your mind needs to be calm and relaxed to be able to wander. Mindfulness helps you maintain a healthy perspective that can help you at work and in life. Meditation and emotional calm can help you realize and reach for the accomplishments, experiences, and relationships in life that are truly important to you. Whatever you truly need more of in life—whether it’s finding the right clients or taking a long-deserved vacation—mindfulness can help you to visualize it and accept it. Why should people assume that the only way to be successful in business is to be busy all the time? Some of the most successful people are great at relaxing and carving out time for themselves, and not just working and being reactive to the demands of work. Mindfulness can help you dig deeper into what you really want your life to be about, and what values are really important for you to live by, in ways that go beyond traditional metrics of business success. What do you want your legacy to be? What causes are you willing to generously support and sacrifice for? Who are the most important people in your life? These are all big questions, and mindfulness can help you refocus your efforts and align your actions to ensure your life is truly on target for making a difference in the areas that matter most.